Great Caesar's Ghost: The premise of this audition program is that small town druggist Julius Caesar Jones gets a visit from the ghost of the Roman emperor whenever he utters the phrase "Great Caesar's Ghost" because as a descendant of Caesar, he is the first in generations to have both the Emperor's name and blood. Although it was not picked up, it was a very entertaining sitcom. The Celanese Hour/Great Moments in Music: The Celanese Corporation has its roots in WWI when the American Cellulose & Chemical Manufacturing Company was formed to develop a lighter cover for aircraft. The corporation went on to become a leading manufacturer of acetyl products. The radio program sponsored by the company became known as Great Moments in Music and presented great works of opera to the masses. The episodes featured here have selections from the operetta The Red Mill and Puccini's Tosca. The Grouch Club: Even curmudgeons deserve a forum. Billed as a "no-situation comedy", the Grouch Club was a place for professional complainers on the West Coast CBS network in 1938-39 and later nationwide on the Red Network. Grouchmaster Jack Lescoulie was helped in his duties by Arthur Q. Bryant, Jack Albertson, Mary Milford and Walter Tetley. Guests of Doom: The old man's only endearing quality was that he was incredibly rich. He had seven heirs who all hated him as much as they hated each other. The old man's will specified that when he passed the heirs had to spend seven days living together in the old house, and if any of them died during that time their inheritance would be split by the survivors. If that isn't a recipe for murder, then why do we have an insanely cackling horror host? The Guys Next Door: Newlyweds Guthrie and Phoebe Guy have their first home. In this audition program, Phoebe has bought all the bricks that Guthrie will need to build a new barbecue pit in the back yard if only he can survive the ordeal. Hagen's Circus: "The Show of Shows", this OTR program was a behind-the-scenes look at circus life with a family focus. The serial written by Malcolm Afford ran for more than 700 episodes. The Harlem Hospitality Club: This Manhattan neighborhood was not only the home of some of the hottest music in the country, the folks there were incredibly welcoming to strangers coming to enjoy the rhythms. The program which originated from the Savoy Ballroom was a combination of musical numbers and audience interviews. Harmony Rangers: A bit of Country and Western happiness to help servicemen get their days started from the AFRS, Mac McGuire and his Harmony Rangers present a morning show which is every bit as friendly as a fresh cup of coffee from the chuck wagon cook! Hollywood Calling: A very scripted interview program from the movie capital, this episode takes place the night before Independence Day, which is also George Murphy's birthday. 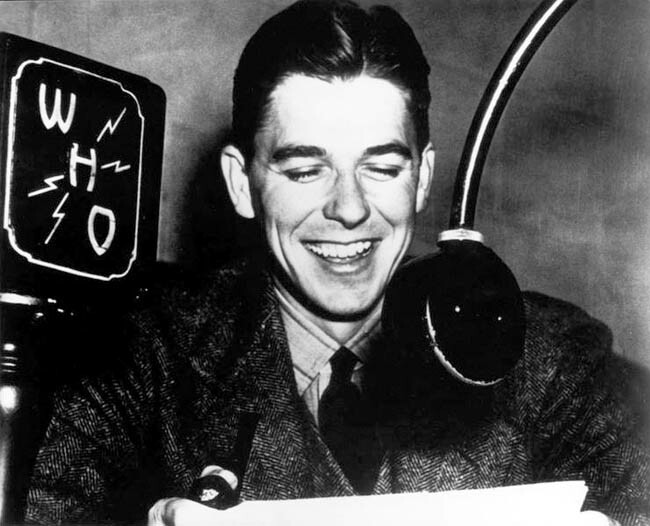 Ronald Reagan gives the gang the idea of celebrating the birthday of everyone they can find who was born on July 4, except George Murphy. Housewives Incorporated: Housekeeping tips and a chance to poke fun at husbands are the backbone of this locally produced program from Seattle. The studio piano gets a workout providing background music and interludes. It's Murder: Sponsored by the National Safety Council, we have a tightly written murder mystery with safety tips before and after the action. Detective Rex Star and his newspaperwoman niece visit an artist's colony and discover murder most foul. War bonds are the prize for the best Safety Limerick. 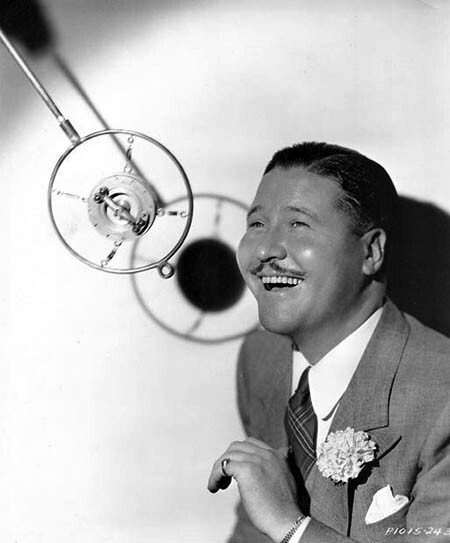 The Jack Oakie College: Jack Oakie progressed from Wall Street to vaudeville to Hollywood where he picked up the title of "World's Oldest Freshmen" for the series of college comedies he appeared in. RJ Reynolds hired him as their radio voice in 1937 for the program which would eventually evolve into The Came Caravan. This episode features Joe Penner and Judy Garland two years before The Wizard of Oz made her a household name. 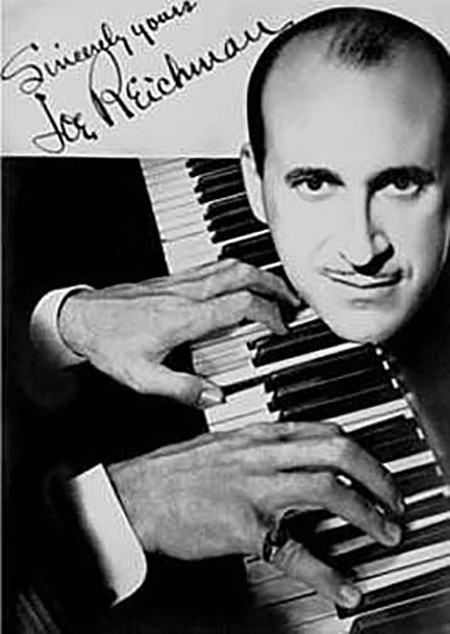 Joe Reichman (The Pagliacci Of The Piano): Before assuming his career as a bandleader, Joe Reichman billed himself as "the Pagliacci of the Piano", Pagliacci being an Italian operatic term for Clown. As successful as he had been as a pianist and band leader, he gave it up in 1948 after settling in Dallas and began concentrating on his disc jockey career. June Dairy Month Show: The 1952 launch of a month-long salute to our friend the cow. We get to visit with Fibber McGee and Molly, Bob Hope, and the Page Cavanaugh Trio. Kay Jewelers Birthday Book: Brought to us by the Kay Jewelers chain in Southern California, the program featured lovely transcribed music, a list of local birthdays sent into the show by listeners, and a subtle reminder that stopping by a jewelry store for your loved one's birthday or anniversary goes a long way toward domestic peace! Louie's Hungry Five: Herr Louie leads an "Oom-Pah" band which is the basic for this German Accented comedy from Chicago during the early part of the Great Depression. The program seems to be an attempt to replace Amos 'n' Andy with a different brand of ethnic humor. Married for Life: Listeners are encouraged to write in about happily married couples they know, the stories are dramatized on the air and the audience votes for a favorite story for which prizes will be awarded. McMahan's Midnight Round Up: A "Rhythm Rodeo" of cowboy music from Santa Monica, California. The target audience appears to be the workers in the California aircraft and defense plants who not only needed a boost in spirit to "keep 'em flyin'" but also had some money to spend at McMahan's Furniture Store. Some brief War news included. Message from William R. Hearst: Former Secretary of State Bainbridge Colby reads a message from newspaperman William Randolph Hearst in 1935. Hearst, who had recently pulled his support from FDR, maintains that the best way to combat the Depression is to end it. Genius! The Minstrel Train: This 1946 show is at least the second audition for The Minstrel Train, a previous episode had been recorded the previous summer. In the minstrel show tradition, the show features white performers doing black-faced material. What makes this version unique is that all the performers, except the announcer/straight man, are ladies. Mirth and Melody: Another attempt to bring the minstrel show tradition to radio, this 1948 edition supposedly originates in New Orleans, but the excited crowd sounds more like a creation of the sound effects man. The jokes were old by 1948. My Lucky Break: Sometimes the difference between success and failure comes down to being in the right place at the right tie. This is called getting a lucky break. This program explores the lucky breaks which have led to the success of show business personalities, including this episode dedicated to Shirley Temple on her tenth birthday. 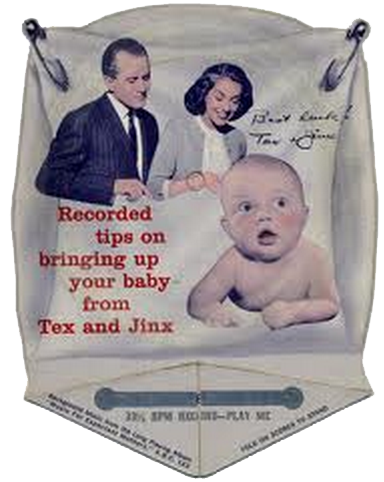 New York Closeup: Tex and Jinx were long-time on-air personalities on WOR in New York City with a popular interview and discussion program. This episode features guest Fred Allen who had recently published his autobiography Treadmill to Oblivion, an expose' of the radio comedy industry. The Pepsodent Show: Almost before the live broadcast of The Bob Hope Show was complete, a transcribed version was de-commercialized and pressed to be shipped to AFRS stations overseas. In this version, Bob and the gang have traveled to the Los Alamitos Naval Air Station with plenty of jokes about Navy flyers. Personality Plus: The typical format for interview programs has the host asking his guest questions so that the audience can get to know them better. Personality Plus takes a pair of interesting people and sets them in front of the microphone so they can have their own conversation. In this episode, the wife of British actor working in Hollywood, Lionel Atwill, and the wife of Lawrence Wood Roberts, Jr, former Assistant Treasurer of the United States get together. Mrs. Atwill is the former wife of General Douglas MacArthur, and Mrs. Robert is a longtime member of the Washington DC social set. 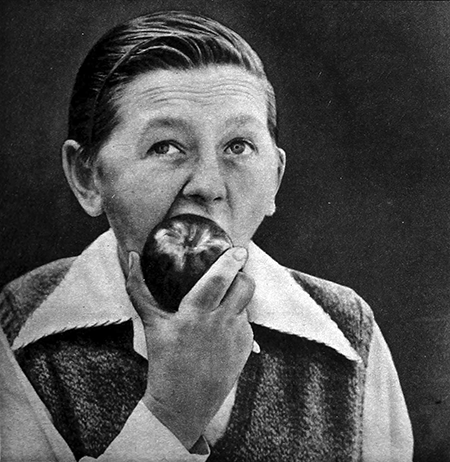 Pillsbury House Party: The cake mix company sponsors this talk show hosted by Art Linkletter who interviews kids and finds a 62-year-old man with a son less than a year old. The gentleman happens to be a tattoo artist who married a circus fat lady. Push Button One: An afternoon drive-time disc jockey show from WSM Nashville. The station is best known as the home of The Grand Ol' Opry, but this program plays more popular music (in 1955) and emphasizes the need for listeners to drive safely. Puttin' On the Ritz: An on-air trailer for the 1930 United Artists Film starring Harry Richman and Joan Bennett. The film title was inspired by an Irving Berlin song whose title was inspired by a slang term for dressing very fashionably. To the Rear March: An AFRS Program that features a repeat requested by servicemen. This episode features The Jack Benny Program with Jack and the gang flying to Palm Springs in an airplane. Radio's Biggest Show: An annual variety show to celebrate the anniversary of the Walgreen's Drug Store chain. 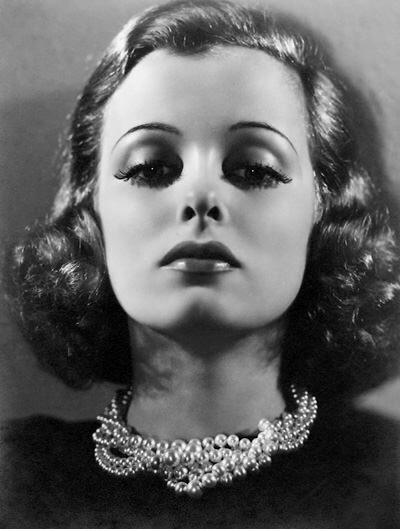 Guests include Dennis Day, Ginny Sims, Rochester, Vera Vague, Frank Morgan, and Bob Hope. This year we get to visit Bob Hope's Grand Hotel in the Irium covered Sierra Mountains. Ramona and Her Mighty Miniature Minstrels: "The smallest minstrel cast ever assembled." Pop tunes and corny jokes in an interpretation of the minstrel tradition, although there is no apparent "blackface" performance in the show. Redbook Magazine Radio Dramas: The women's magazine Redbook once had sister publications, The Blue Book and The Green Book. When Edwin Balmer took over as editor in 1927 he shifted emphasis to make the publication more general interest. The radio series began in 1932 with stories selected and hosted by Balmer. Remember: Helping the troops to remember happier times back home was pretty much the Armed Forces Radio Service's stock in trade. The Remember disc jockey show featured Hollywood Star as guest DJs, who would play selections from a certain year and memories along with the music. Rhythm Inn: West coast coffee roaster Edwards Coffee would like to invite you to a peaceful hotel on a cliff overlooking the Pacific Ocean. The music at the Rhythm Inn is provided by pianist Ted Streater and his Orchestra. Report To The Nation: A radio newsmagazine with an eclectic format featuring reports ranging from War news and politics to the latest Hollywood trends. 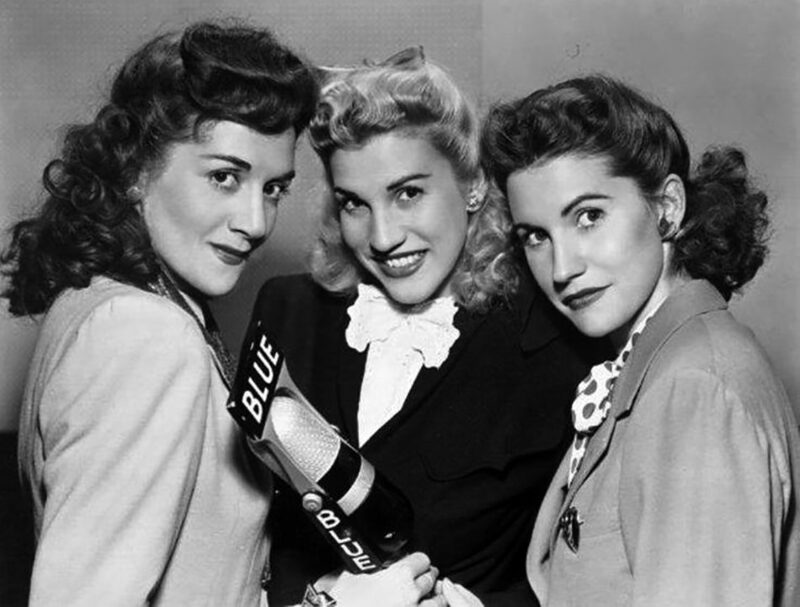 The Rita Murray Show: A morning discussion show for Los Angeles area housewives and their husbands in 1942. Rita encourages us to practice patience with each other and with the conditions imposed by the War and to work together to get through it all. Riverboat Revels: The riverboats which plied the waters of the Ohio, Mississippi, and Missouri Rivers were vital to commerce before the Interstate Freeway system. These ships did not have to be as stoutly constructed as an ocean liner, but they had to have a shallow draft and required a great deal of power to deal with heavy loads and strong currents. The greatest reminder of this era are the showboats which brought entertainment to the river banks. Robert St. John: Author Robert St. John was chief of the NBC London Bureau in 1942 before transferring to Washington DC. In this broadcast, he reports of action on Okinawa and conditions in India. Robin Hood Show: Robin Hood All Purpose Flour was the secret for delicious baking, and they sponsored a program features "country crooner" George Morgan. Morgan had been a fixture on the The Grand Ol' Opry, but many felt his singing style was closer to Bing Crosby or Perry Como than Lefty Frizzell or Ernest Tubb. Roma Wine Show: A variety program hosted by Mary Astor featuring Charlie Ruggles, Mischa Auer, and the Andrews Sisters. The Salad Bowl Revue: In 1933, the Hellman's Mayonnaise people hired Fred Allen to help sell salad dressing, and the program was so popular that they kept him on the air long after lettuce went out of season. Salute To Heart Sunday: Kate Smith and Danny Thomas advise listeners to be ready for our neighbor coming to collect contributions for the American Heart Association this Sunday. Salute To Labor: An All-Star program reminding us that the labor movement gave us much more than a three-day weekend in September. Featuring the music of Duke Ellington, the Golden Gate Quartet, Gordon Jones and his Orchestra, and the American Garment Workers Chorus. Be the first to comment on "Random Rarities 22"